Do not use this company. They were hired to install sliding doors and windows and did such a poor messy job. They don’t show up on the time agreed for service, and don’t respect your time. Your schedule needs to work around whatever they are doing and you must wait all day for them. We had a service appointment for 3pm on a Friday and they only arrived at 6:00pm and got mad when no one was there. They threatened to take the doors out and windows out over their own bad installation. 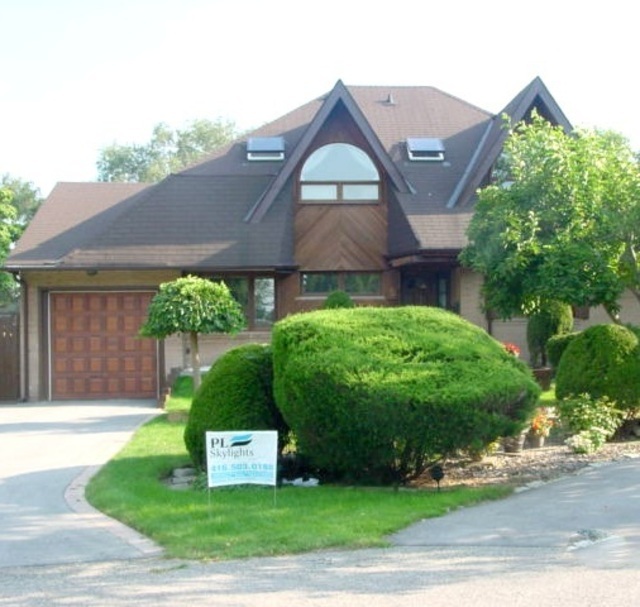 The installers we had for our windows and door were very knowledgeable on the subject and did an excellent job. The job was done on time, on schedule and furthermore, the installers even cleaned up after themselves. The windows and door is very high quality and we were able to stay on budget for this project due to the amazing prices. 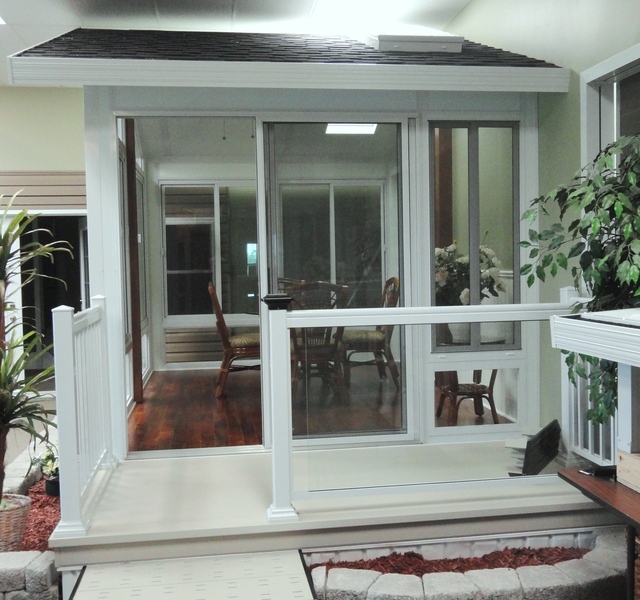 I highly recommend PL Windows and Doors to anyone who is looking to get their windows and doors installed or replaced. Our sales rep was very nice and was able to answer any of our questions and concerns and pointed us in the right direction. I'd like to give a big thanks to PL Windows and Doors for doing such an amazing job. My family and I are so happy with the new windows and doors and will definitely be recommending this company to all our friends. I own a flat roofed 4 story town house which did not have any roof access points except for hiring a boom truck. 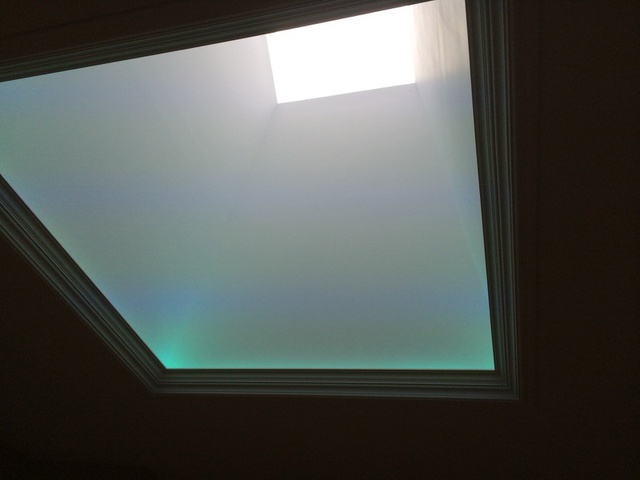 We decided to install a hatch skylight to allow access from the interior of the home. PL arrived on time, did a fabulous job and cleaned up the mess. Overall it was a great experience. We had new windows replaced in our whole home. Had followed up to see the expected date of install and was not given a date. Was called one morning asking if they can come today which I agreed to but had to find family to run over to open doors for contractors. I did not have time to prep my house. The contractors left wood chips, dust and dirt everywhere. One window had the wrong measurements. And one window was completely wrong. I called to complain about the mess. When the contractors came back they cleaned up after themselves. The windows are nice and work fine I have had no issues. My only issue is with the contractors. 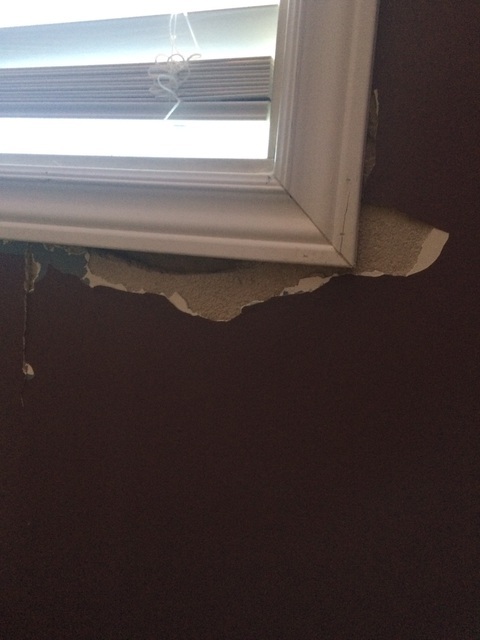 They also left large damages under each window and didn't patch it up. They just added trim over top. I've added a photo to show. I've had to patch up myself. Hi, can I have your name and phone number as PL Roof Window will look into the contractors issue and thank you to voice out this to us. The PL Skylight team was a pleasure to work with. They showed up promptly every morning and are great at what they do. We couldn't be happier with our new skylight. Thank you!! We replaced our leaking skylight. They were very flexible with the date even when I gave them short notice about wanting the replacement. Their staff even came in early Saturday to get the replacement done before the rain hit. So far so good, no leaks. They were also one of the few companies that will replace the drywall in my tunnel once we are sure the window is in properly. We were happy with their installation of skylight and then also asked them to replace all the windows of the whole house. Now it's the 2nd year after skylight was installed, noticed the ceiling beside it leaking now. Let's see how is their service. 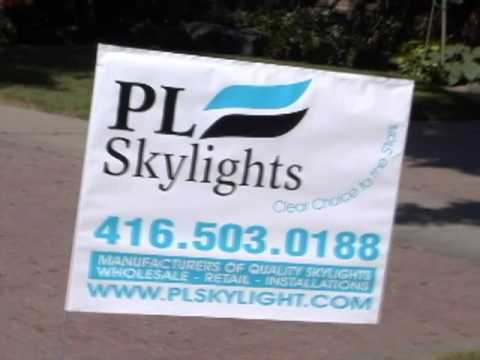 I'd like to recommend PL Skylights. 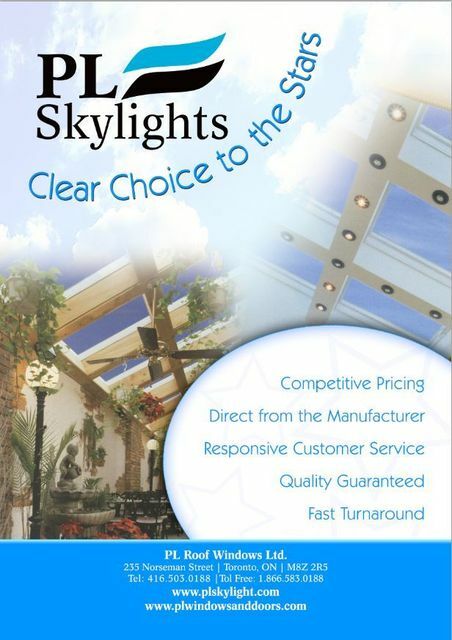 The price for a new skylight and installation is very good based on their product quality and speed. They installed a new skylights pretty well and fast. They took around two weeks to finish job after I offered. When we back home, it was already done. At first, i worried about the quality. It had few rain recently. and no leaks is the sign of good construction. 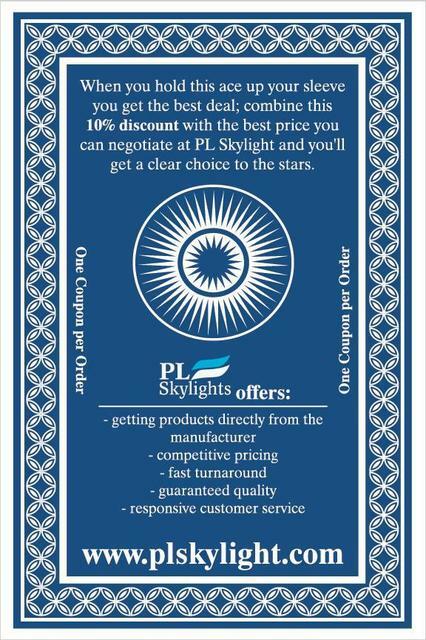 Happy to recommend PL Skylights. I had experience with another company before and had to deal with numerous problems. Claude, their installer, works in a very meticulous and professional way and really knows what he is doing so the installation by Claude was perfectly done within a delay much shorter than what I was expecting. He was careful and very clean as he worked inside. I highly recommend this company and their installer Claude for a professional job. We had PL window to change our balcony door in summer 2015. We notice there is a leaking underneath the door frame, can feel the wind coming in. Now in winter, all the floor is cold close to the balcony area. Patio doors & entrance doors. Manufacture of Standard and Customized Skylights. Installation for New and Repacement of skylight and Tunnel. Maintenance Free Vinly and Aluminum Skylights - Never Rot or Rust. 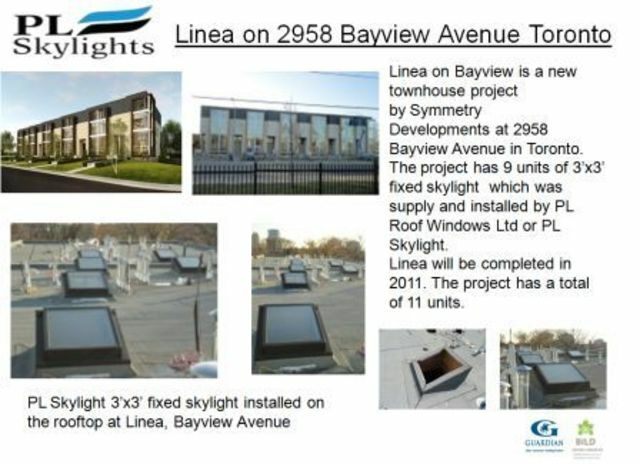 Lifetime Limited Warranty on Skylights and labour.10 years warrants on Glass Insulation.